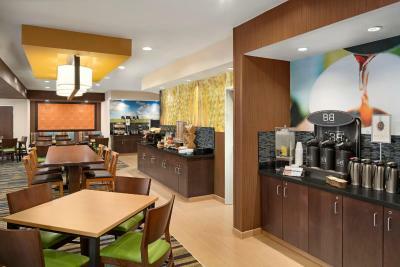 Lock in a great price for Fairfield Inn & Suites Lima – rated 8.8 by recent guests! front office staff was very friendly and accommodating. 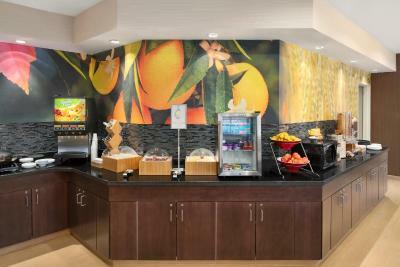 People are friendly and the cleanliness for the place and the food area are very clean. 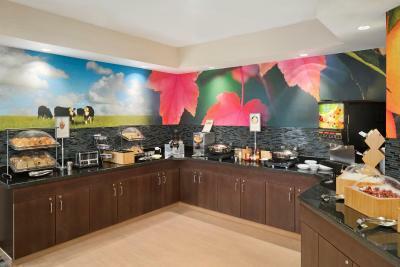 variety of breakfast availability. The professional handling of things was a great thing to see. 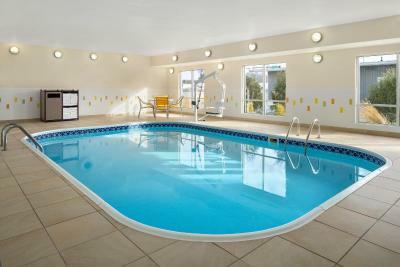 in addition the place had an indoor pool. Place had a good breakfast and the bathroom is the nicest I've seen in a room ever. The place is very clean and the pool is small but nice. the easey check in because I broke down with my car, called so the rest of my family could check in before me. 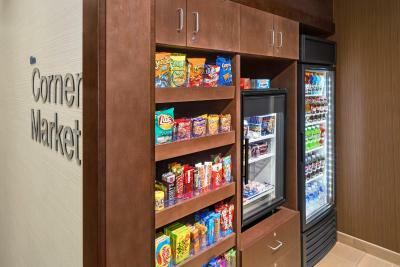 The staff was wonderful, the hotel was very clean, and the continental breakfast was amazing, and checkout wasn't until noon, very great stay! The service provided was excellent. 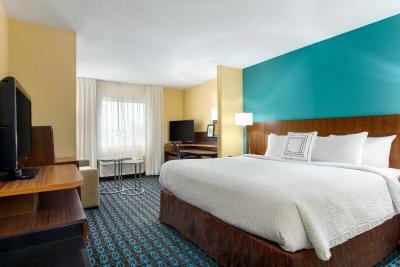 Nice room, very accommodating! There were gluten free English muffins and blueberry muffins for breakfast, along with some delicious fruit, eggs and sausage for those of us who cannot eat gluten. The powdered eggs were just okay. But the rest of the breakfast was great. The dining area was very nice, clean and well-stocked. The hotel staff was very friendly and attentive. 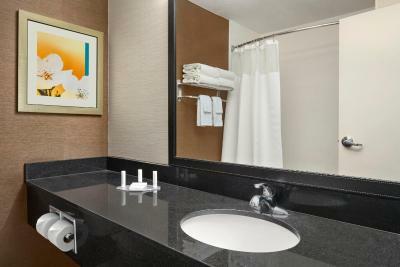 The hotel was so clean and the bathroom was beautiful! It was probably the nicest hotel I've ever stayed in. Thank you! 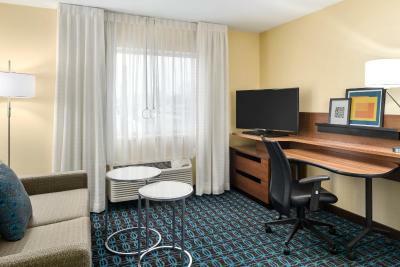 Fairfield Inn & Suites Lima This rating is a reflection of how the property compares to the industry standard when it comes to price, facilities and services available. It's based on a self-evaluation by the property. Use this rating to help choose your stay! One of our best sellers in Lima! 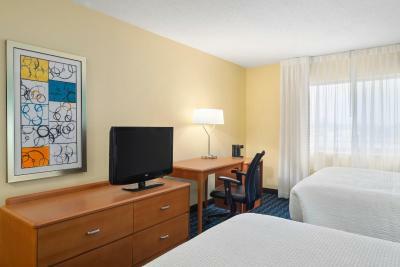 This hotel is across the street from the Lima Mall and within a 5-minute walk of the University of Northwestern Ohio. 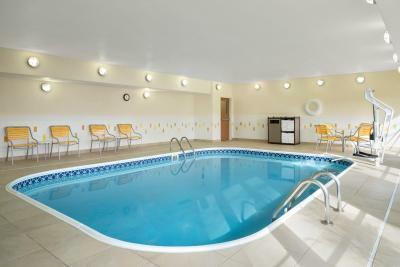 The hotel offers an indoor pool and free Wi-Fi. 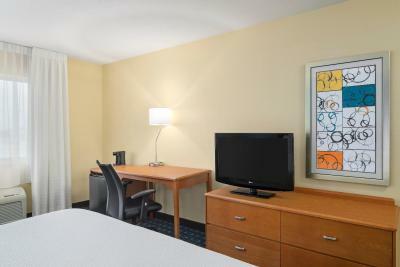 Fairfield Inn & Suites Lima features cable TV and a coffee maker in every guest room. 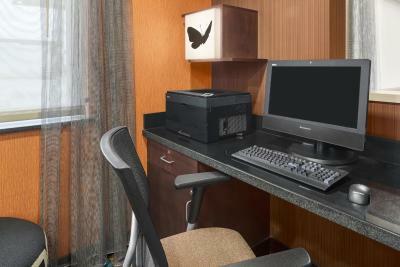 A work desk and ironing facilities are also provided in each room. 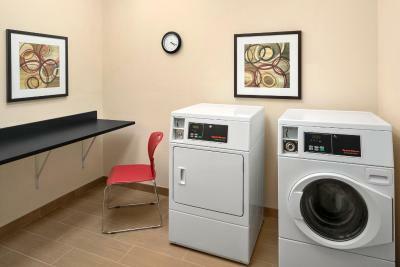 Some rooms offer a microwave and refrigerator. 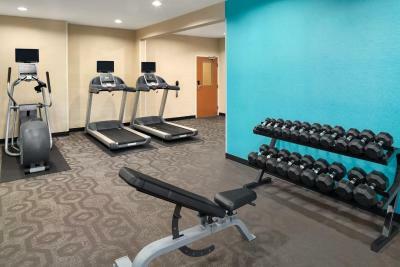 Recreational facilities at the Fairfield Inn & Suites Lima include a hot tub and outdoor sports court. 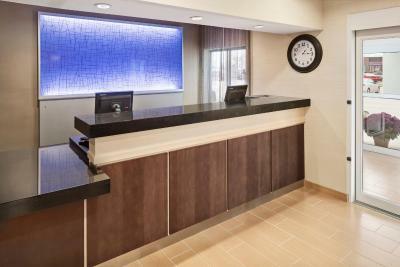 A 24-hour front desk is provided by Fairfield Inn by Marriott Lima. Free public parking is available at the hotel. 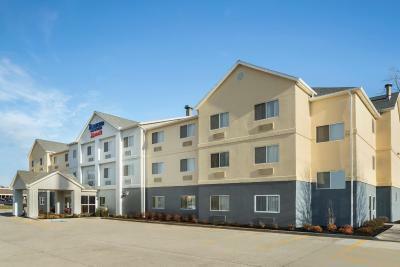 Fairfield Inn & Suites Lima is a 5-minute drive from the center of Lima. 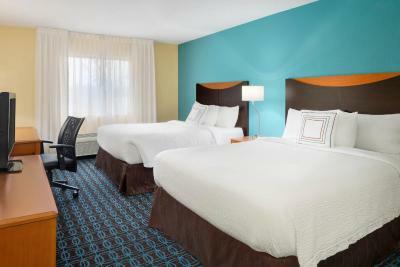 When would you like to stay at Fairfield Inn & Suites Lima? 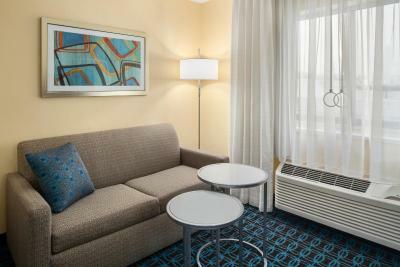 This suite features a seating area, sofa and flat-screen TV. 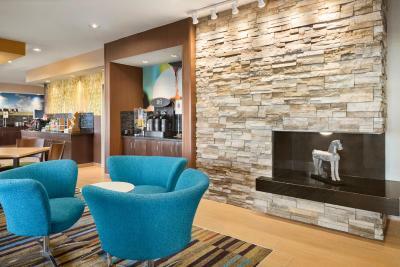 House Rules Fairfield Inn & Suites Lima takes special requests – add in the next step! 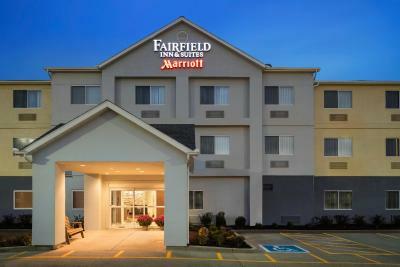 Other Fairfield Inn &amp; Suites Lima accepts these cards and reserves the right to temporarily hold an amount prior to arrival. 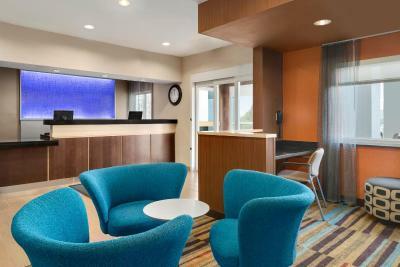 Fairfield Inn & Suites Lima accepts these cards and reserves the right to temporarily hold an amount prior to arrival. Please note the pool will closed for renovations from January 18, 2015 - January 25, 2015. A lot of noise from pool area could be heard in our second floor room. 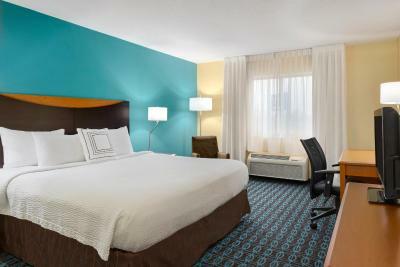 The king room was awesome and exceptionally clean. Really nothing I could think of. Carpet was soaked from the air conditioner leaking all over and they didn't do anything about it. I understand that it wasn't an easy fix but they could of moved us to another room. 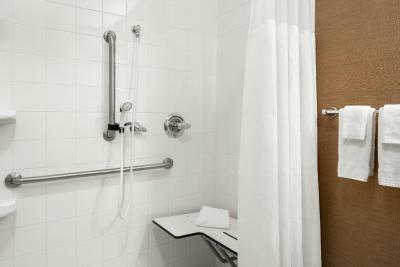 Also the rooms are alot smaller than in the photos. I didn't have much room for my pack n play for my baby. 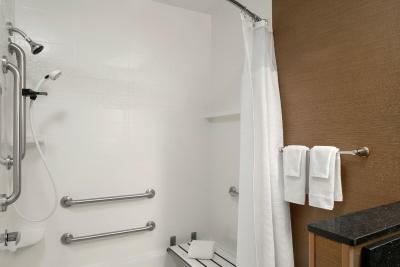 The room rate is way over priced for one night. the price would stop changing when I was booking my stay. I stayed here because my grandson is at UNIO, AND IT WAS CLOSE FOR HIM. The bathroom smelled like smoke from cigarettes. Not sure if someone was smoking in a nearby room or if the prior occupant smoked in the bathroom. The smell did dissipate until the next morning when I was checking out. The breakfast was more than I expected. There was as much selection as any restaurant in the area. The desk clerk put me in a room near my parents room. Clean room, comfortable beds. Quiet, efficient AC was a plus. Good breakfast. I booked the room for my wife. Paid up front st the time of booking. They chsrged her an additional $30. At checkout, not sure why.